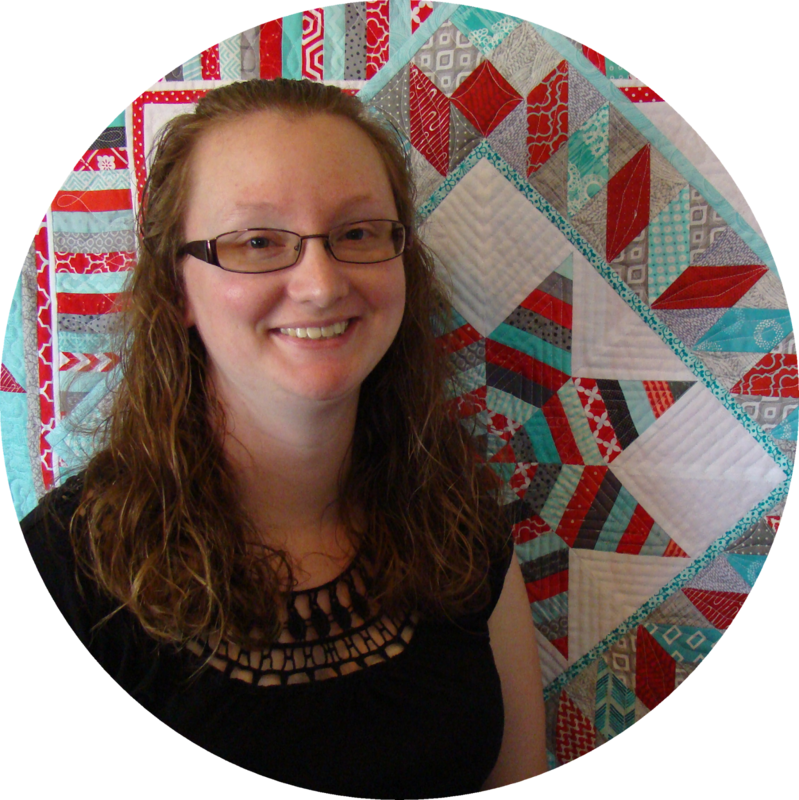 Slice of Pi Quilts: 2019 Aurifil Designer of the Month Team Announced! 2019 will be the 9th year that Pat Sloan has hosted a block of the month program with Aurifil threads. You can see all the previous years' blocks and patterns here. It's an amazing collection of the who's who in quilting! Each month, a different designer will share a pattern for a 12" quilt block based on the theme "Traditions." 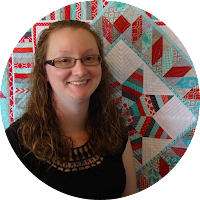 All the blocks will be shared on the Aurifil blog and will generally have a red and white color scheme. Anyone who creates the block and links up to the Aurifil blog post for the block will be entered to win a box of Aurifil thread! You have a chance to win every single month! At the end of the year, Pat will share the finishing and setting directions for the quilt. Each of the designers' original blocks will be sewn together into a quilt that will travel the world with Aurifil in 2020! Look at the amazing line up of designers! I am so incredibly honored to be among this list! 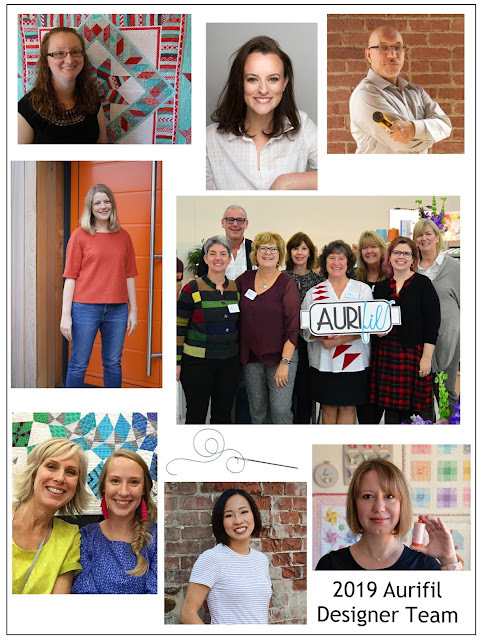 July - Carl Hentsch of 3 Dog Design Co.
August - Karen Miller of Redbird Quilt Co.
You already know how much I love Aurifil and love being an Artisan with them, so I am thrilled with the opportunity to be a part of this! I plan to sew along all year and share my own version of each of the blocks. I sure hope you'll sew along too! Congratulations! Can't wait to see what you come up with - I know it will be quite special. I saw Pat's announcement earlier and was so excited for you. Congratulations!! Congratulations! I hope to see along next year. I have wanted to make a red and white quilt for some time now. Time to make that happen! Cool beans!!! I'm so happy for you! Wow, congrats Laura! Can't wait to see what you come up with in that ultra creative head of yours! Congratulations!!! I'm looking forward to seeing the blocks and the quilt! Congratulations, Laura. Looking forward to seeing 2019 blocks and your contribution....in December, more than a year wait!!! Congratulations, that's fabulous! You and Alyce are the only ones I already know. I'll look forward to seeing each month's block. Red and white is a great combination.